Tai and the Troll are mates. 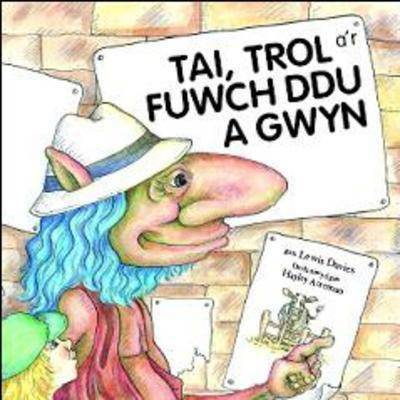 Tai lives in Tremorfa and the Troll lives at the bottom of Mrs Griffiths' garden. The Troll likes fishing, apples and his old car which only starts when Tai kicks the tyres. The Troll has to visit his Aunt Senni who lives under a bridge in Brecon and he's asked Tai to come with him on a day trip. The Troll promises to take Tai to a farmer's market in Brecon. Tai thinks he'll buy something at the market.